Continuously running traces is very expensive in terms of CPU overhead. The time you don’t run them is guaranteed the time when you will need them most. But how can you tune your system for optimal performance and recognize trends before they could turn into real problems? 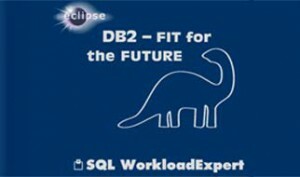 Running with very little to no overhead, SQL WorkloadExpert for Db2 z/OS (aka WLX), uses its Intelligent Catcher Facility (ICF), to create a sturdy workload warehouse environment as the basis for further analyses and reporting. Catch all static and dynamic SQL—even those statements which have been flushed. Dynamically aggregate and EXPLAIN the data. What effect does Application X have on the load? Which Objects (Tables, Indexes, Tablespaces) are never used? Which SQL statements are the most CPU-intensive? Who did what when? … and many more besides. An important aspect is the auditing around Db2 z/OS. WLX Audit for Db2 z/OS tool also works with RACF (IBM), ACF2 (CA) und TOPSECRET (CA). With over 30 predefined “use cases”, once installed, WLX is ready to hit the road running, helping to increase mainframe transparency for everyone.